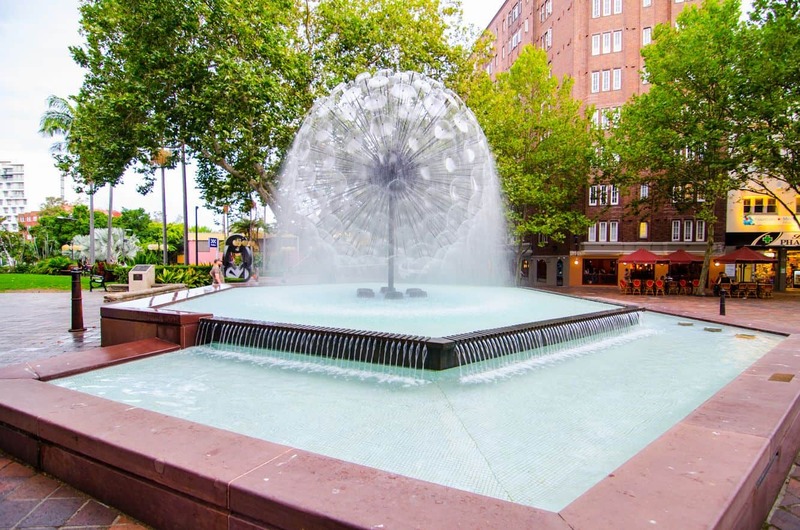 The El Alamein Memorial Fountain is an iconic landmark in Sydney, and one of its most renowned attractions. This outstanding work of design was the brainchild of Robert Woodward. It was first opened in 1961 in memory of the Battle of El Alamein in Egypt. The fountain was constructed as a memorial to honour the Australian Infantry Forces who fought in Egypt; in a battle that changed the course of the Second World War. 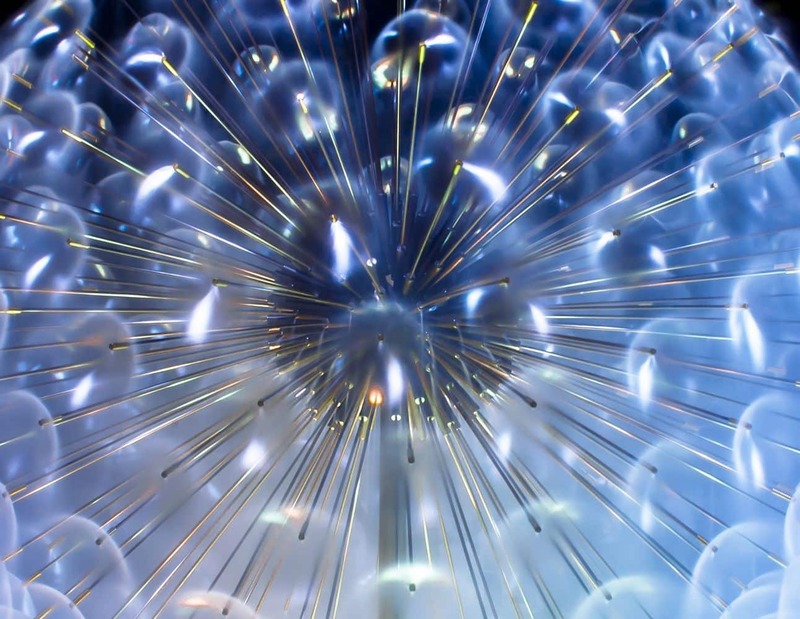 One of the most striking features about this fountain is its distinct design whose outlook appears as that of a giant dandelion whose waters are cast above a series of pools. The structure was built using bronze and finished off with brass pipes that carry the water. The spray heads are able to produce fine jets of water whose sensitivity to wind makes for an awe-inspiring attraction. Owing to this design, the films of water change shapes alternately, from concave to convex and reflecting an array of rainbow colours when the sun’s light is cast on the water – a magnificent display of innovative architecture. Additionally, the El Alamein Memorial Fountain is illuminated at night; a spectacular to marvel at. It is, however, switched off in extremely windy weather conditions to control the amount of water blown onto the footpaths. As you take a stroll along the footpaths, you can’t help but notice that the gentle slope of the land leads to successive pools that capture the stunning beauty of this fountain. Listening to the water as it cascades down the pool provides much-needed tranquillity. 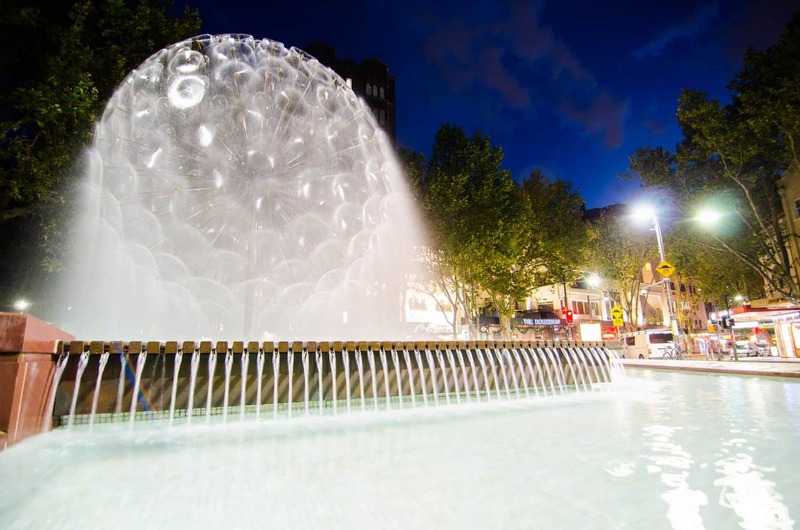 The fountain’s strategic location in the Kings Cross Area has made this a popular meeting point. It is also a spot to hang out, whether to read a good book or catch up with an old friend. It is fascinating to note, however, that the fountain’s beauty has seemingly overwhelmed its purpose as a war memorial. Whichever the case, this is a spot worth checking out while in Sydney. 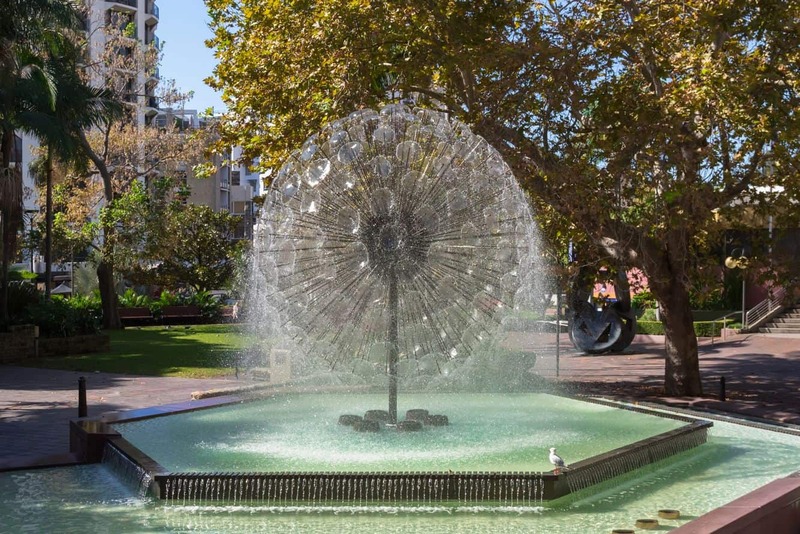 Make your way to Fitzroy Gardens to soak in the dazzling beauty of the El Alamein Memorial Fountain.